This file contains a series of articles by Wlodek Mier-Jedrzejowicz. They were published in DATAFILE, the jounal of the HPCC (please join! -- see the file bibliog for the address). Reproduced with permission. one, or out of nostalgia. get you 7 million pounds at Christie's! module or normal memory modules are not worth much. (any version) and the HP-10C. in your local junk shop and get in touch! available, contrary to the statement in my article! stop the timer, ENTER to quit the timer and clear the display, and . not clear how successful this was - the HP-70 is somewhat rare! history comes from an extensive database set up by Craig Finseth. this set of historical articles! known simply by a model number; they all had the same size and shape. But then HP introduced the smaller handhelds - HP-21, HP-25 and so on. after that were the two handheld printer models, known as the "Sting"
"Hewlett.Packard" on the label, later ones had "Hewlett.Packard 35"
Memory" written along the bottom of the keyboard. after by the HP-15C, HP-16C and HP-10C. showing how much memory the three models had (64k, 128k and 256k). memory, is called the HP95LX1MB - the most complicated name so far. HP48SX, redesigned to emphasise that they are Graphical calculators. transcendental functions, look at the appendix to this article. * The earliest 35s had a small hole to the right of the on/off switch. When the HP-35 was turned on, a red spot showed through this hole. switch was at the side marked ON. functions, and even had sigma+ and sigma- keys. also had one silver-painted line below the display, not two. gives the result 2. instead of 2.02 but this bug was soon removed. too, which is what HP do with all the handheld calculators they make. the latest model, with the new-style keyboard! parts were used in the assembly of newer calculators. years later! That's HP quality for you! surface, or held in place with a security cable. I got all four back at the end of the day - not all of them were mine! - they cannot be solved purely by algebraic manipulation. ancient Greek mathematicians great grief, but that is another story. used. Pi can only be expressed exactly if n is allowed to be infinite. infinitesimally small pieces of the circumference be measured. it. In effect the calculator had to be used with a book of tables. square root is to be found. which began it all. Meditate transcendentally on that if you will! questions. 1. Why collect calculators? 2. How to start a collection? Tuscan Consultants at the moment. suggestions on collecting in future articles. 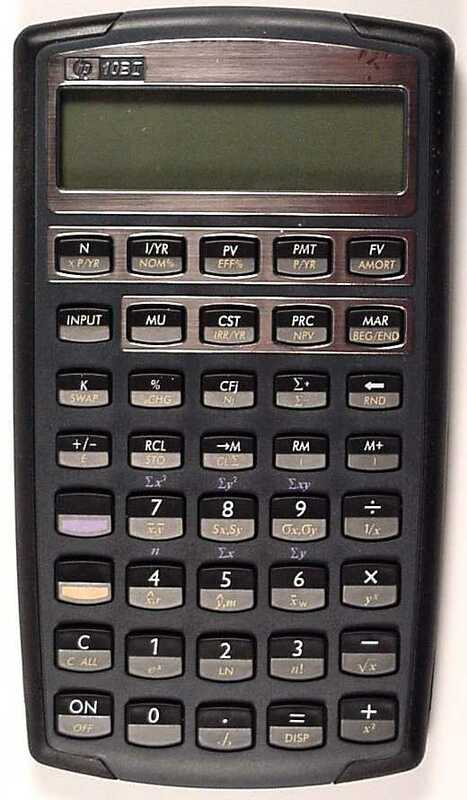 mathematical functions than the HP-65 - no ABS function for example. eagerly sought after by collectors. in DATAFILE - my thanks to Daniel for reminding me of it. and the mysterious ALCUIN, well that's for another short article! the ones I had not yet writen encouraged me to write it down! specialise. How could you do this? by companies other than HP. from HP if you knew who to ask. each! Try to treat your collecting as fun! second subject, but I'll come to that later. worldly possessions to get the pearl of great price. it, since even HP treated it as a watch, not a calculator. lucky enough to have got one. not feel a vital need to have one. time gives you an excuse you can give in each case for not having one! definitely are worth trying to find. showed that it was to be the first of a new family - the "series 20"
with one hand - and its low price, for those days, of $125. HP-80 is still fairly common, whereas the HP-70 is very hard to find. the even cheaper HP10B is still on sale. is in great demand and fetches a very good price if you can get one. seem to be rare, but that might be because most are still in use. second-hand one. Anybody got an old HP-10B they would sell me? size as the HP-21 but with more functions, and programmable to boot. "handheld". HP called it a "Scientific Portable Printing Calculator"
befits a top cat, the HP-91 codename was "Felix". HP CALCULATOR HISTORY - WHAT ARE WE TALKING ABOUT? In these short history articles we have come as far as the HP-91. calculator with a model number of two digits is a handheld calculator. calculator or computer with a model number less than or equal to 100. The next size up, the HP-110 and HP Portable Plus, do not really fit. to be of interest to enough HPCC members! calculator sold by HP and the fourth member of the Woodstock family. not vital on calculators which have the general "register exchange"
say that two current models have recall arithmetic! CALCULATOR HISTORY - A SPECIAL DAY? 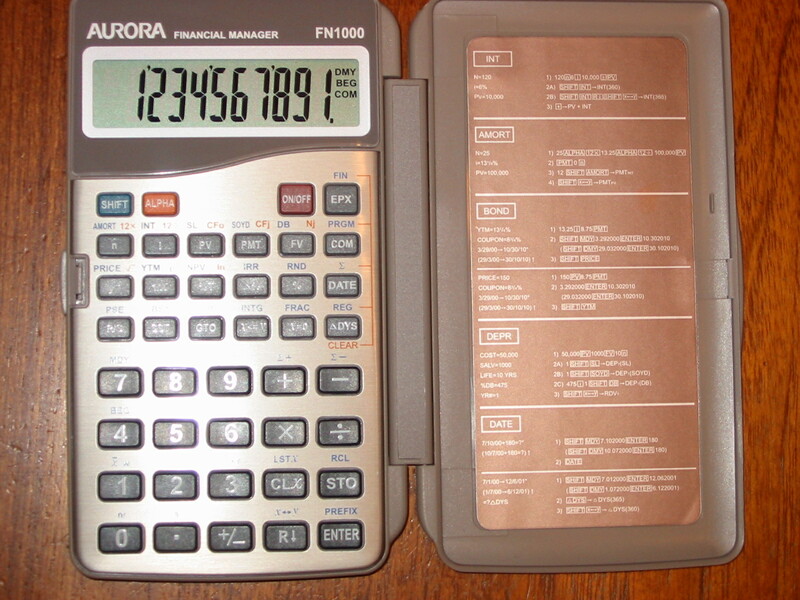 HP announced three calculators all on the same day - July 1 1976.
company from the United States! nowadays, as in the case of the HP48 family. HP-97 this was [PRINTx] which printed the contents of register x.
the first calculators to allow the creation of "non-standard"
very briefly interrupting the power supply - in fact special "phase"
HP-41 calculators. The HP-67 was the last calculator of the "Classic"
HP-41 had replaced the HP-67. I have put a photograph of it on the cover of this issue of DATAFILE. sign of this is that they do not have serial numbers stamped on them. were labelled A000, A001, A002 and so on, then B000, B001, and so on. might have contributed to the decision not to sell the HP-95C. because the HP-67 provided keen competition. wonder the calculator's codename was KISS - "Keep It Simple, Stupid". there was no need for a pocket guide, and the manual was not that big. were to be displayed - in the LED display, on the printer, or on both.